Oh the joys of training in January. Despite the cold January weather, you arrive at your gym already warm since the closest parking spot was 3 blocks away. As you walk into your gym, you mourn the loss of your once sacred training haven. Last month it was just you and a few other dedicated lifters. Now it’s January and you are over-run with New Year’s Resolution crowd determined to burn off the Christmas cheer. You wisely tell yourself that things will die down soon and resolve to make the best of this situation. With a little creativity and hard work you can make this year one of your best training years ever! You can strip off unwanted fat and build a hard, lean athletic body. To do so, follow these guidelines and check out the sample program to follow. Ask yourself: How bad do I want it? Just how serious are you about getting into great shape this year? The real secret with successful fat loss is getting to the point where you want to be lean more than you want the foods that make you fat. Once you are there, you are on your way to leanness. This applies to both your training and your nutrition. Start this year off right by getting rid of all the remaining Christmas baking and whatever other sweats and treats you have in your cupboards. Once this is done, stalk up on high-quality meats, fish, produce, healthy fats and high-quality basic supplements. In the gym, most of the “easy” exercise equipment will be occupied by the New-Years resolution folks. Use this to your advantage and stick with the big, hard, uncomfortable exercises. A 4-day whole body training plan is hard to beat for an efficient way to melt fat off your body. No matter how hard you train, a “Tricep Day” will not have that big of an impact on your metabolism. Start your week with exercises that most people don’t do. Even in January, the numbers will die down a bit as the weekends approach, so if you really want a piece of equipment, program it in for later in the week. If you select exercises that require a bench or a rack, you can be stuck waiting or trying to work in with other people. Barbell, dumbbell and kettlebell exercises that have you standing are ideal for fat loss and for training in a busy gym. Use the business of the January rush to force yourself to pick harder exercises. When writing fat loss programs, I avoid virtually all exercises that place someone in a lying or sitting position. Even on the busiest days in January, you are not going to find a line-up for the pull-ups bars. 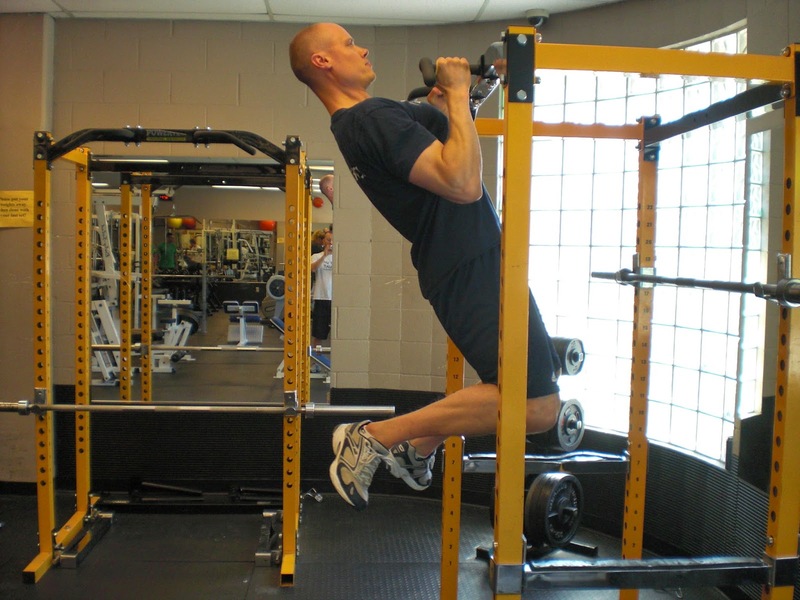 Take full advantage of great exercises such as pull-ups and dips (if your shoulder allows). While flat bench press reigns as the most popular exercise in most gyms, far less people do inclines – mostly because they can’t do as much weight. Choosing incline over flat bench greatly increases your chance of having a free bench. For fat loss and time efficiency, I’m a huge fan of circuits. However, they can be very difficult to do in a crowded gym. You don’t want to be that guy or gal who tries to reserve several pieces of equipment with towels, gym bags and water bottles in a busy gym. Another great form of training for fat loss is peripheral heart action training. In style of training has you alternating between upper and lower body exercises which is not only time-efficient but also places a tremendous metabolic impact on the body. To make this work in a busy gym, pick exercises that do not require much equipment. And, if you do need a bench or a squat rack, pair that exercise with another exercise does not require any equipment. The half or full get-up is an excellent exercise to do with nothing more than a little floor space, a dumbbell or kettlebell and a surprising amount of effort. 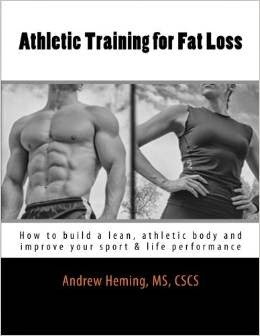 While this has great benefits for improving stability, structural balance, reducing injury and for identifying and correcting asymmetry issues, it is also very effective for fat loss. When it comes to any type of cardio or conditioning, I typically see cardio machines as the last option (not that it is even an option in busy January gym). My first choice would usually be some type of sprinting (e.g. up a hill, on a track, pushing/pulling a sled). If you can find a safe, practical way to sprint, then take full advantage of it. However, two fantastic winter options for fast, effective fat loss are swings and complexes. Both of these can be done in a small floor space and with a pair of dumbbells, a pair of kettlebells or a barbell making them very conducive to effective fat loss training in a busy gym. Note: this is a sample program and may not be right for you. Always consult your doctor before starting any exercise program. Adjust as necessary for you needs. Also, check out my YouTube channel for instruction on how to do the exercises. This 4 day program works well on a Mon, Tues, Thurs & Fri or Mon, Wed, Friday & Saturday. Warm-up before you start. **If using a Dumbbell, start it off the spotter’s step on the back side of the incline bench. Note: if you find that doing a pressing movement 4x per week bothers your shoulders, switch the day 1 & 3 pulling exercises with the pressing movement on day 2 & 4. To see 3 sample complexes (barbell, dumbbell and kettlebell) click HERE. Do 4-6 rounds of 4-6 reps per exercise, 2-3 min rest between complexes. If you have the time, feel free to slip in some accessory work for about 10 minutes. This could some extra upper back work to help your posture, some direct ab training or some beach work for arms, calves, chest, shoulders, etc. For this it is absolutely necessary to conduct training. Training can be of different types,build my body beautiful here you can know how you build your body well.